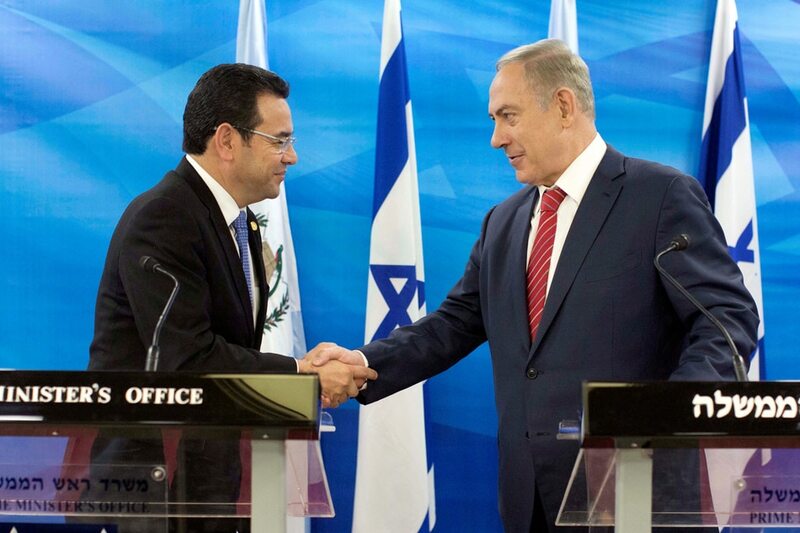 GUATEMALA CITY -- Guatemalan President Jimmy Morales said on Sunday he had given instructions to move the Central American country's embassy in Israel to Jerusalem, a few days after his government backed the United States in a row over the city's status. In a short post on his official Facebook account, Morales said he decided to move the embassy from Tel Aviv after talking to Israeli Prime Minister Benjamin Netanyahu on Sunday. This month U.S. President Donald Trump recognized Jerusalem as the capital of Israel, reversing decades of U.S. policy and upsetting the Arab world and Western allies. On Thursday, 128 countries defied Trump by backing a non-binding U.N. General Assembly resolution calling for the United States to drop its recognition of Jerusalem. Guatemala and neighboring Honduras were two of only a handful of countries to join the United States and Israel in voting against the resolution on Jerusalem. Morales, a former television comedian with an important base of conservative Christian support, earlier this year became embroiled in a bitter spat with the United Nations when a U.N.-backed anti-corruption body in Guatemala tried to impeach him.